It's that time a year again and Christmas is almost upon us so why not book this fantastic Santa's grotto which all the kids can go and see Santa Claus. 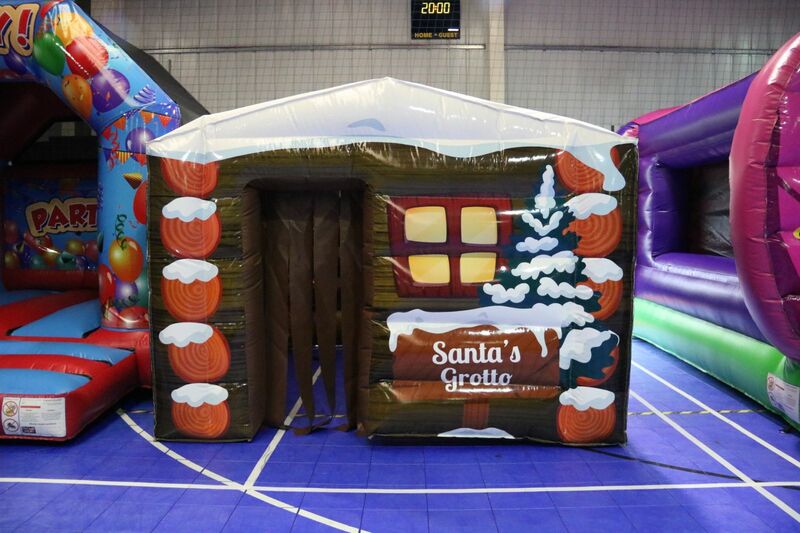 Our Santa Claus inflatable grotto is made in a fantastic digitally printed artwork theme in inside and outside in a log cabin theme. We only provide the inflatable and blower with six pegs to anchor it down securely. Most customers use there own decorations and chair inside.